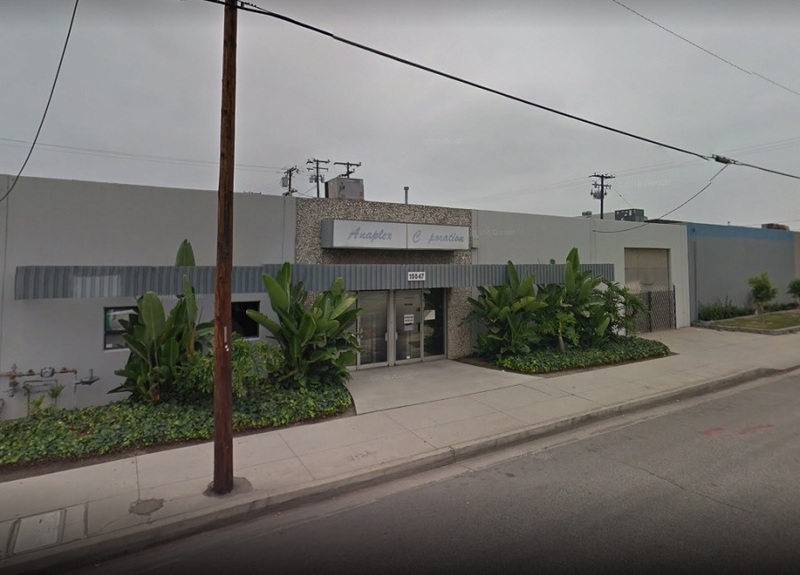 An order to temporarily shut down operations at a metal-finishing facility near the North Long Beach border last Friday after high levels of chromium 6 were recorded was lifted this evening, according to officials with the South Coast Air Quality Management District (SCAQMD). The curtailment on the Paramount-based Anaplex Corp., located at 15547 Garfield Avenue, was lifted at 5:00PM today, said SCAQMD spokesman Sam Atwood. Atwood said Anaplex met the requirements to resume operations, namely that the average of the last three samples at downwind monitors are below 1.0 nanograms/cubic meter. The facility was ordered to temporarily shut down all operations and processes emitting the toxic compound hexavalent chromium, or chromium 6, at 4:30PM on Friday, December 15. The agency’s air monitors had recorded levels of the compounded above a trigger threshold of 1.0 nanograms per cubic meter, according to an earlier SCAQMD release. At one site, the agency recorded 1.06 nanograms per cubic meter and at another site it recorded 1.45 nanograms per cubic meter. The two levels are an average of three 24-hour samples collected over a period of about a week. The threshold was agreed to by Anaplex and specified in an administrative order adopted by the SCAQMD hearing board in January of this year, according to the agency. This is the third time the agency has ordered Anaplex to curtail operations since the hearing board adopted its order, according to the release. The company previously shut down operations in February and June. The agency is now reviewing health risk assessments and risk reduction plans for Anaplex and Aerocraft to ensure these facilities reduce risk from toxic air contaminants below required levels, officials stated. The facilities have already begun some risk reduction measures. The public can find information on SCAQMD’s air monitoring and enforcement activities in Paramount here.